An organisation is run on 5 pillars© of Founder, Finance, Sales, Process and People. Post CEP, an entrepreneur would be fully equipped with tools to manage the organisation’s finance, sales, people and processes. 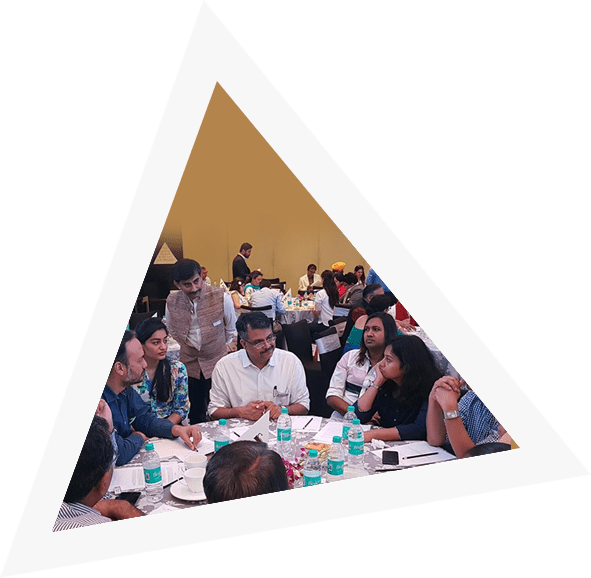 During the course of 20 sessions spread over 8 months, the entrepreneur would have developed a complete handbook to take his organisation on the exponential success path. Understand and define personal as well as orgational vision, mission and purpose beyond competetion comparision. Define desired values and culture. Enhance personal productivity while reducing stress. Actively building organisation for succession planning at all levels. Understanding meaning of Sales and Sales Quadrant (in terms of products, customers, geographies). Create a one year sales goal roadmap. Creating the prospects pipelines and scripts. Understanding the process of Sales Interview and Prime Buying Motives identification. Identifying the Branding and marketing strategies. Preparing Brand and marketing collaterals. Tracking sales and linking with direct impact on P&L. Create the organogram required to reach the goals. Assess people on the SKC AAW (Aptitude Attitude Willingness) format. Create hygiene and skill matrix for each position and person in organisation. Prepare Position Descriptions and identify gaps. Prepare Delegation plans and Development plans. Performance evaluation systems and designing increments. Identifying the heads for cost optimisation through P&L. How to manage and control cash flows. How to Streamline the MIS reports. Analysis of financial statements for computing Borrowing capacities. Methods for analysing the Process needs. How to design and implement processes. Process review and linking with results. Splitting processes in Finance, Sales, Production, Support functions, Accounts, HR, Administration, Quality, Communication, Training, Reporting, Logistics and Despatch, vendor or supplier management, Customer relationships, Culture management, Employee engagement, etc.